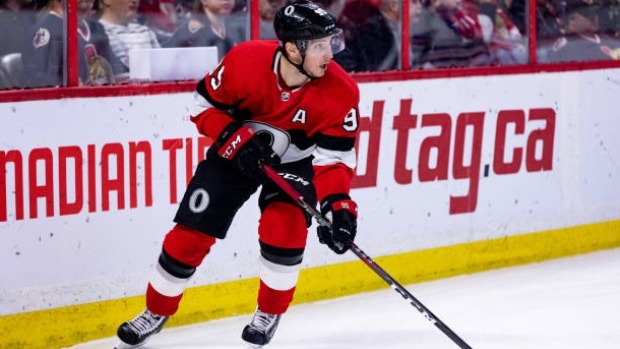 OTTAWA — Veteran forward Bobby Ryan is joining Matt Duchene on the Ottawa Senators injured reserve. Senators general manager Pierre Dorion said on Saturday morning that Ryan has a concussion and there is no timetable for his return. Duchene left Thursday's 5-2 loss to Montreal with a lower-body injury and was placed on the injured reserve on Friday. Dorion said on Saturday morning that Duchene will be out for weeks. Ryan has six goals and 12 assists in 29 games this season. Duchene has 12 goals and 22 assists so far this season, also in 29 games.